In our last blog post we invited you to join our Annual Freedom Ride. In today’s post, we’ll show you a few photos from the ride. We had around 52 bikes show up for the Freedom Ride! We went on an eighty mile ride through the countryside and had a blast. Thanks to everyone who joined us. We look forward to doing it again next year. We hope you get a chance to enjoy your motorcycle this week! 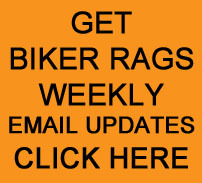 This entry was posted in Annual Freedom Ride and tagged Annual Freedom Ride, Biker Rags. Bookmark the permalink.